Dog skin disease is an extremely common occurrence. In fact, the greater majority of vet visits every year are for some sort of skin related issue. When you consider that there are over 160 different skin disorders that affect dogs, that fact is not surprising. The difficulty with skin problems comes in pinpointing a cause and determining a proper course of treatment. 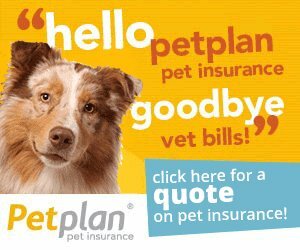 Doing so will require diligence on the part of both owner and vet. Dogs tend to be rough and tumble and they like to get into things, and as a result their skin can be exposed to any number of substances, infections, and irritants that can cause a host of problems. This is particularly true for active breeds like the Australian Shepherd but it applies to all breeds. At the same time, the condition of a dog's skin and coat can be a very important indicator of more serious underlying health problems, so any skin related condition should always be taken seriously. With so many known disorders that can affect a dog's skin, it can be extremely difficult to figure out exactly what may be causing symptoms. And those symptoms can range from annoying itching or irritation to hair loss, hardening of the skin or lesions. It is almost impossible to judge the severity of any dog skin disease simply by looking at the surface symptoms. Your vet will need to run a series of tests in order to determine exactly what you are dealing with. Only then can treatment begin. 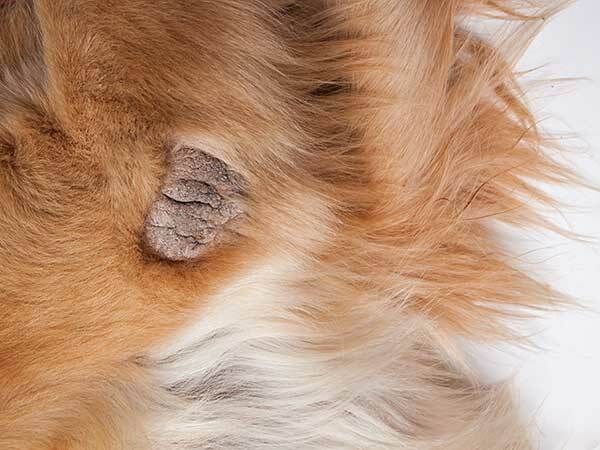 Dog skin disease, like scabies pictured above, can quickly spread and cause extreme discomfort for your dog so needs to be identified and treated by your vet as soon as possible. Not only is a dog's skin exposed to many outside factors, there are some conditions that can be caused by internal issues. Some skin conditions are genetic and develop spontaneously over time. Still others are autoimmune disorders, where the immune system malfunctions and the body begins to attack itself, causing skin problems among other symptoms. These kinds of conditions are often considered incurable but it is still possible to provide treatment to relieve uncomfortable symptoms. Another complication of dog skin disease is the fact that dogs don't know enough to leave skin issues alone. If a patch of skin becomes itchy or irritated, often a dog will make the problem worse by incessantly licking, rubbing or nibbling at the affected site. This can even lead to a secondary condition such as a hot spot or lick granuloma. You should always try to be aware of your dog's behavior and pay attention if he seems to be gravitating to one spot continuously. The list of possible causes of skin disorders in dogs is almost as long as the list of disorders itself. Fleas, ticks and other pests can cause skin irritation and so too can airborne allergens like pollen, ragweed and dust. We tend to forget that our pets can be affected by the same kind of allergies that we get, but often when there is skin irritation present this is the reason. In these cases, the particular allergen needs to be identified so that it can be avoided and so that proper treatment can be prescribed. There are various medications, including antihistamines and corticosteroids, that can bring relief in the case of dog skin disease, but it is imperative that your vet narrow down his diagnosis first. Otherwise you and your dog are likely to end up in an endless cycle of "trial and error" as you sample various treatments to find the one that works. The important thing to remember is that skin disease is a serious matter and the sooner you address it, the better off your dog will be.